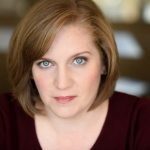 American contralto Emily Marvosh has been gaining recognition for her “sterling voice,” and “graceful allure,” on the stages of Carnegie Hall, Jordan Hall, Disney Hall, Lincoln Center, Prague’s Smetana Hall, and Vienna’s Stefansdom. 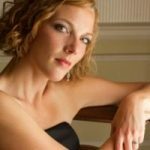 Following her solo debut at Boston’s Symphony Hall in 2011, she has been a frequent soloist with the Handel and Haydn Society under the direction of Harry Christophers. Other recent solo appearances include the American Bach Soloists (Messiah), Charlotte Symphony (Messiah), Tucson Symphony Orchestra (Mahler’s 3rd Symphony), Chorus Pro Musica (Stravinsky’s Les Noces), Music Worcester (Beethoven’s Ninth Symphony), L’academie (Vivaldi’s Nisi Dominus), Back Bay Chorale (Bach Magnificat), the Brookline Symphony (Sea Pictures), the Boston Early Music Festival Fringe, and the Chorus of Westerly (Dvořak Stabat Mater), she is often featured on the Music at Marsh Bach Cantata Series. Awards include the prestigious Adams Fellowship at the Carmel Bach Festival (2013), the American Prize in the Oratorio and Art Song divisions (2013), and second place in the New England Regional NATSAA competition (2014). A frequent recitalist and proud native of Michigan, she has created a chamber recital that celebrates the history and culture of her home state. The Michigan Recital Project features commissions by emerging composers and performances by fellow Michiganders. The recital, for which Miss Marvosh won a St. Botolph Club Foundation Emerging Artist Award, has ongoing performances across the country.